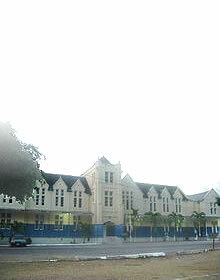 It was early in the 1900s that the (governor Sir Sidney Olivier, requested Frank Cundall, Secretary of the Institute of Jamaica, to prepare a list of historic sites, buildings and monuments in each parish. He was to state in each case the nature of its interest and the name of the owner. This was prepared with the assistance of local officers of the medical, police and public works department, the Collectors of Taxes and the Parochial Board and some private individuals. At the direction of the Governor the list was published in the supplement of the Jamaica Gazette December 1909. In his comments which accompanied the list, Mr. Cundall expressed the hope that this may be the means of steps being taken to preserve old buildings and other monuments from 'decay and the hand of man', and that in the case of private properties owners would be induced to take better care of their buildings. The list was incorporated as part of a report dealing with the preservation of historic sites and ancient monuments in the West Indian Colonies presented to the British Parliament. As many of the monuments that original list no longer exist one would assume that no real programme of preservation followed on this burst of interest. In 1946, Mr. Angus Acworth of the Georgian Group in England at the request of the Jamaican Historical Society and the British Council visited Jamaica and his resulting report 'Buildings of Architectural or Historic Interest in the British West Indies' published in 1951 by H M Sationary Office as Colonial Research Studies No.2 included draft legislation for 'the preservation of the National Buildings in Jamaica. 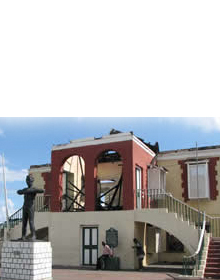 They were able to effect through the Ministry of Communications Works, repairs to a number of monuments but the main achievement was the passing of Law No.72 of 1958 which brought the Jamaica National Trust Commission into being, a statutory body established in 1959, fully fifty years after that initial interest. The funds for the operation of the National Trust were provided in the annual Government budget but with the pressing demands of the priorities of a developing country, these were never adequate to meet the needs. In these limited circumstances there have been nevertheless some outstanding achievements and the Commission was fortunate for several years to have had the services of the late Mr. T.A.K. Concannon, an experienced and dedicated preservationist. As was only natural the original lists reflected the time and value of the Colonial era. The Commission in 1965 revised the published a new list of monuments. Since then there have been additions in keeping with our awareness as an Independent nation, providing for the recognition of persons and places of special significance in the evolution of the nation, hitherto neglected. The National Trust Law was from the start inadequate to protect effectively the monuments, and requests made to Government for the necessary amendments never received attention. Mr. Concannon, had from time to time made representations in respect to this and was constantly frustrated. The JNHT which replaced the original organization no doubt has a more comprehensive and satisfactory governing law. September 1968 to April 1969 a UNESCO Mission composed of Prof. Christopher Tunnard and Mr. John C. Pollacco visited Jamaica and carried out a survey of historic buildings and sites in order to make recommendation for their development and presentation particularly in reference to the development of Tourism. They were considerably assisted by Mr. Concannon, advisor to the National Trust, Mr. G.C. Hodges of the Town Planning Department and Mr. C.B. Lewis, Director of Institute of Jamaica, and both members of the Jamaica National Trust Commission. They commended the National Trust for having made a 'remarkable record in the 10 years of its existence, undertaking a variety, of interesting projects and acting as custodian for the nation of many important historic and cultural properties.' Special mention was made of the "excellent work at Port Henderson. It has succeeded in preserving the character of the village and in restoring most of the old building on the road running along the shore. 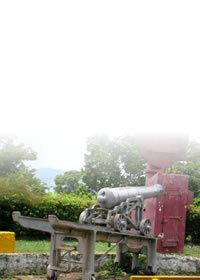 This is a fine example of what the active Jamaica National Trust Commission can do even with limited funds." I personally took particular interest in Port Henderson and although informed that the government did not insure its property gained the approval of the Board and had the building insured. I was horrified not long ago to discover that there had been a fire at Port Henderson and that the whole complex was in ruin.